Today we’d like to introduce you to Ed Witas. Ed, please share your story with us. How did you get to where you are today? I grew up in the city of Chicago. My father had broken his leg at work and was not able to work for several months. Being the oldest son, I dropped out of high school and went to work to help my parents bring home extra money for our family to put food on the table and to pay the bills. My mother was a waitress and I went with her to work as a busboy. 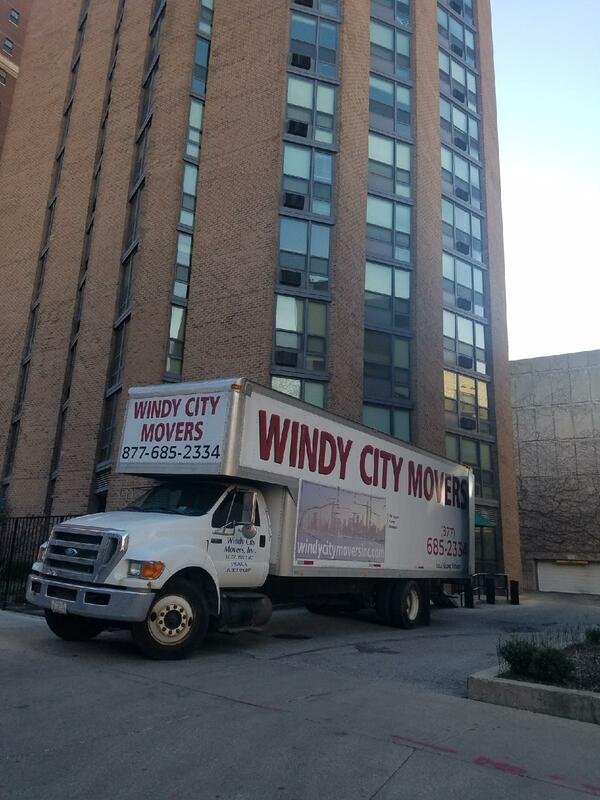 After that, I worked for several years for a couple of different moving companies in Chicago, and I learned about the moving business and how to drive a truck. I met the love of my life when I was 18, and got married at the age of 20. In 1981, at the age of 21, I decided that I wanted to start my own moving company. In October 1981 our oldest son was born and I went for a hearing in front of an Illinois Commerce Commission judge. I was granted moving authority for the State of Illinois effective January 1, 1982. I put my notice in with the moving company I was employed with, and I left their employment at the end of December and started our company the beginning of 1982. The first few years were not easy ones. We operated our business from our house. My wife answered phones and booked jobs from our kitchen table, while I worked on the trucks, got the labor, and did estimates. With hard work, perseverance, honesty, and God’s blessing, our company steadily grew and has been widely known and respected in the Chicago Metropolitan area. God has blessed me with my wife of 37 years, 3 children, and 2 grandchildren with one on the way. I belong to several charitable organizations and believe in giving back to the community and less fortunate as much as possible. I am extremely honored and thankful to have served the Chicago area for the past 36 years. In the moving industry, we are busy 8 months of the year, the other 4 months are a little slow. The biggest problem today is that the consumer does not realize that there are a lot of “fly by night” moving companies. These moving bandits are not licensed, have no insurance, do not settle claims, do not pay payroll taxes and other taxes, have inexperienced labor, tap into legitimate movers websites and direct phone calls to their phone numbers, use legitimate companies names in their websites to steal business…the list goes on and on. Legitimate companies follow the rules, are licensed and insured, have good customer service, handle claims promptly and in a professional manner, pay their help a decent wage, pay taxes, etc… There is a really small profit margin for legal companies and the illegal movers are making it harder to make a profit at all, not to mention not being able to raise rates and raising their worker’s income. The consumer calls around for the lowest rate, not realizing that you get what you pay for. If you pay a decent rate for a legal moving company you will have a better moving experience and less stress. Moving is stressful enough, and to not use professional movers will only add to that stress. 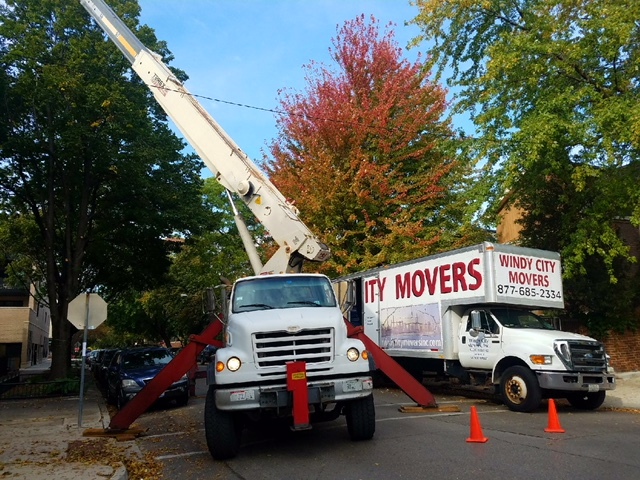 So let’s switch gears a bit and go into the Windy City Movers story. Tell us more about the business. 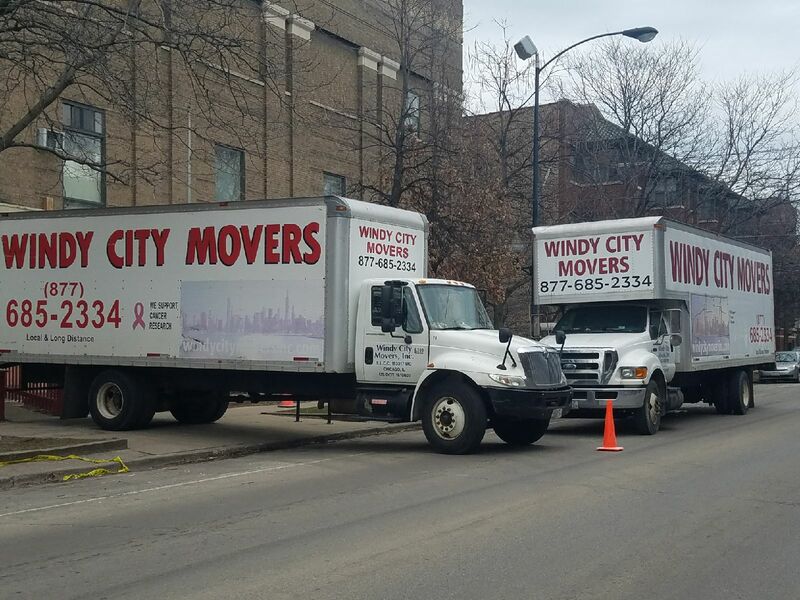 We are licensed by the State of Illinois to move anywhere within the State. Our main market is the Chicago Metropolitan area. 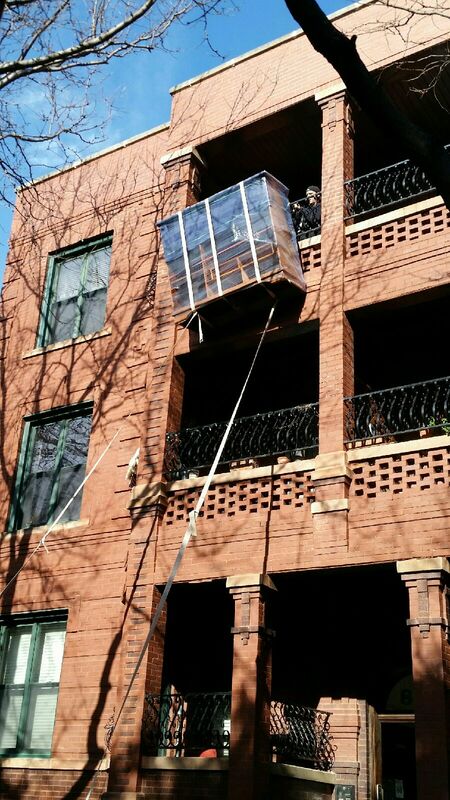 We move houses, apartments, condos, offices, commercial moving, appliances, safes, and pianos. We provide packing services and packing materials. 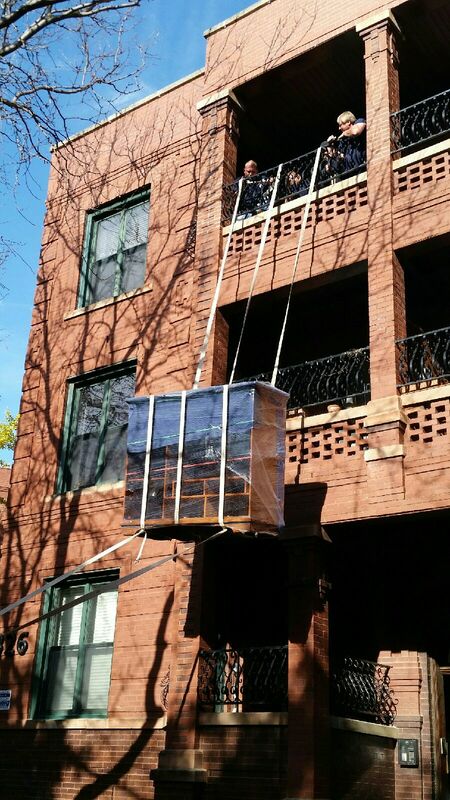 We are known in our industry for hoisting large items to upper floors that other movers are not able to do. We specialize in moving Senior Citizens and we are sensitive to their special needs. We also strive to have courteous and well-informed Customer Service Representatives. 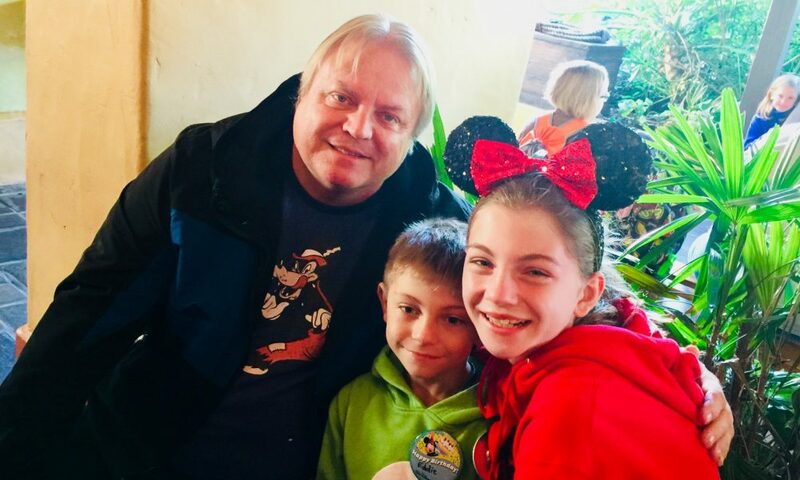 I am most proud of our personalized service that we have provided the Chicago area over the last 36 years. It is our goal to make moving as stress-free as possible. I feel that the future of the moving industry will depend on the economy, the cost of living, and people’s needs. Needs change depending on the times. I believe that the consumer’s expectations will be higher in the future, and they will expect a professional service. However, the problem is that the legal, licensed moving companies cannot compete against the illegal movers. As the cost of running a business gets more expensive, professional moving companies will be going out of business. The consumer tends to not view professional household movers as a trade, therefore, they do not want to pay a large sum of money to move. The current average wage for a household mover is around $13. to $18. per hour. Other trade wages are easy $28. to $45. per hour. When a consumer calls a professional moving company and hears that the hourly rate to move is $128.00 per hour for 3 men and a truck, they turn to Craigslist or to the company that charges the lowest rate, not understanding that you get what you pay for. There is a reason that they are able to charge such a low rate…they do not have the expenses that legal movers have! They hire labor off the street for $10.00 per hour cash. They are definitely not professional movers. The consumer does not realize that if they hire illegal movers, they are becoming the employer. If the men get hurt on the job the consumer is liable, and if their furniture is damaged there is no insurance. Unless the government is able to step in to put the illegal movers out of business, there will not be a lot of professional household moving companies left.